Regional Surgical Specialists (RSS), an affiliate of Mission Health, is pleased to announce the addition of Kolandaivelu Ramaswamy, MD. Dr. Ramaswamy will be providing acute care surgical services at Mission Hospital and follow-up visits at Regional Surgical Specialists. 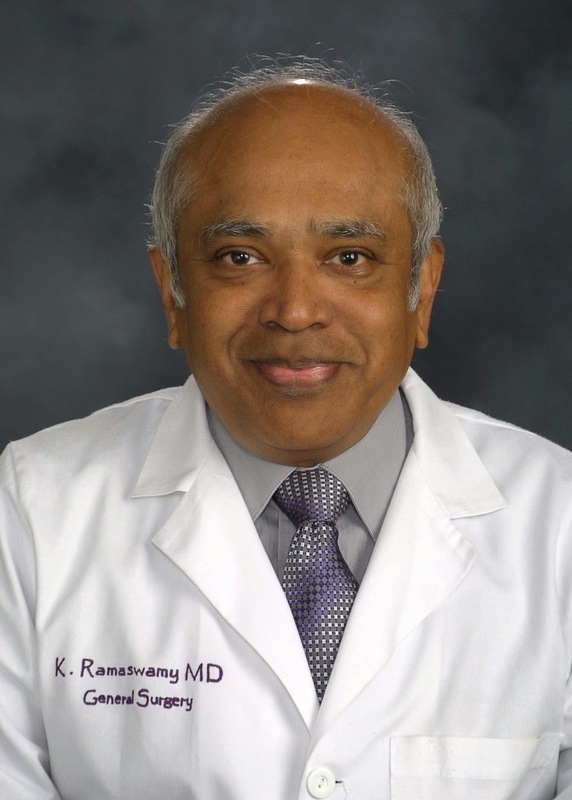 Dr. Ramaswamy is a board-certified surgeon and a Fellow of the American College of Surgeons. He earned his medical degree from Madras Medical College in Tamil Nadu, India and completed his residency in general surgery at the Mt. Carmel Mercy Hospital in Detroit, Michigan. Dr. Ramaswamy was in private practice in Northern Michigan for 28 years before his move to Jacksonville, North Carolina where he last served as an acute care surgeon at Onslow Memorial Hospital. Regional Surgical Specialists, founded in 1981, is dedicated to providing the best possible patient care to the people of western North Carolina. Dr. Ramaswamy joins the following board-certified surgeons: Paul M. Ahearne, MD; Colin P. Bird, MD; William A. Bradshaw, MD; Pierre D. DeMatos, MD; Christopher A. Edwards, MD; Theodore H. Humble, MD; Katayun Irani, MD; and Peeter A. Soosaar, MD. Regional Surgical Specialists is located at 14 Medical Park Drive in Asheville.